Sales tax laws when clients are out of state and come to PA for the wedding. Do clients owe sales tax if they are from out of state and come to PA for their wedding? Author: John Ryan, J&J Studios, LLC. Digital Products: files, slideshows, electronic raw data, jpg images, mpg movie files, etc. Services: time you spend doing your job. Taking the photos, editing the photos, writing emails, telecommunications, facetime meetings, etc. Let’s take the easiest item first. Things like prints and albums which are delivered across state lines are not taxable. In other words, lets say the client lives in Texas and has their wedding in Philadelphia, PA. The cost of the album must be assessed as a separate line item on your contract and is not subject to sales tax. Services which occur in the state of PA are subject to sales tax. According to our accountant: “The locale of the vendor (you) is the key; you are responsible to collect it [sales tax] on behalf of the state of Pennsylvania.” For example let’s saw your hourly rate is $299/hr/photographer. For 2 hours of service the bill in Philadelphia would be as follows: 2(299)= 598(8% sales tax) = 645.84. 8% tax is based on a 6% PA State Sales Tax and a 2% Philadelphia sales tax since the event is in Philadelphia. Let’s say the event occurs in Allentown, PA. Since there is no city tax that same bill would be 2(299) = 598(6% sales tax) = 633.88. Now comes the hardest item on this list. In this case, a digital product is being produced in PA but delivered to TX. My accountant was unsure so I reached out to the PA State Department of Revenue at 717-787-1064 for a 34 minute informative phone call. They were very friendly and very helpful. In a nutshell, this is a legal gray area open to interpretation. The Agent I spoke with stated: “You must separate your services and digital products as line items and collect tax accordingly.” When pressed to elaborate, she stated that you must calculate the percentage weight each item carries in your wedding package. Our interpretation therefore is that since the digital product is a very small portion of the wedding package the entirety can be taxed. In this case, the Texas client has no tax liability for the $499 prints and the $885 album. However, the clients will be taxed for the $3100 wedding coverage at the rate of 8% sales tax (6% state + 2% Philadelphia). So 3100(8% tax) = 3348. Our position as a studio is that since the wedding is shot in Philadelphia, edited in Philadelphia, post processed in Philadelphia, uploaded onto our computers in Philadelphia, and emails/phone calls/timeline planning meetings (facetime or Zoom) etc happen in Philadelphia, the service component of the $3100 wedding package overwhelmingly happens in Philadelphia. 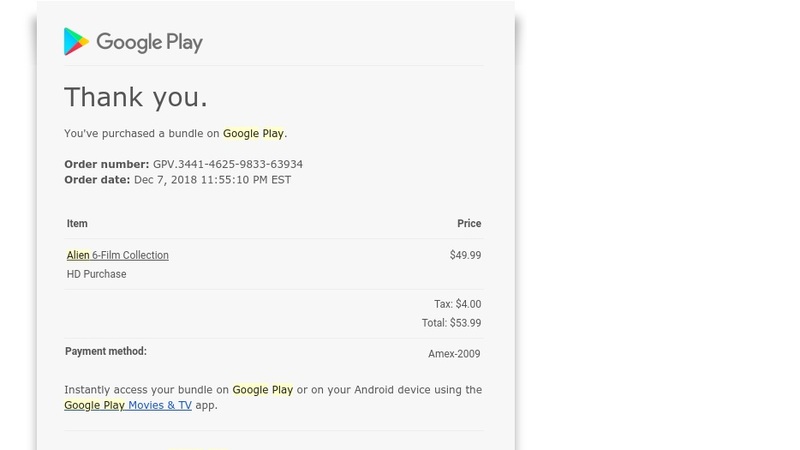 In this example, I purchased the movies for $49.99 but google assessed $4.00 in tax = 8% sales tax. That’s because the “service” of creating the movie: filming, editing, post production; is the overwhelming majority of the product and thus the "digital product” itself is actually a very small part. For this same reason, when we bill clients for our “wedding photography coverage” our packages are assessed with sales tax while our albums and prints are not for out of state clients. Disclaimer: I am a photographer not a tax professional. Consult your CPA, Corporate Legal Counsel, State Department of Revenue for further advice and guidance. I am stating my own opinions and those opinions do not constitute legal or professional advice. Before you decide what to do, consult your own tax professionals, CPA, and State Department of Revenue for guidance.